The Liberals have stepped in to thwart Conservative plans that could have stalled the tabling of the federal budget if the Liberal majority on the House of Commons justice committee blocks Jody Wilson-Raybould from testifying again. The Liberals have stepped in to thwart Conservative plans to stall the federal budget in retaliation if the Liberal majority on the House of Commons justice committee blocks Jody Wilson-Raybould from testifying again. 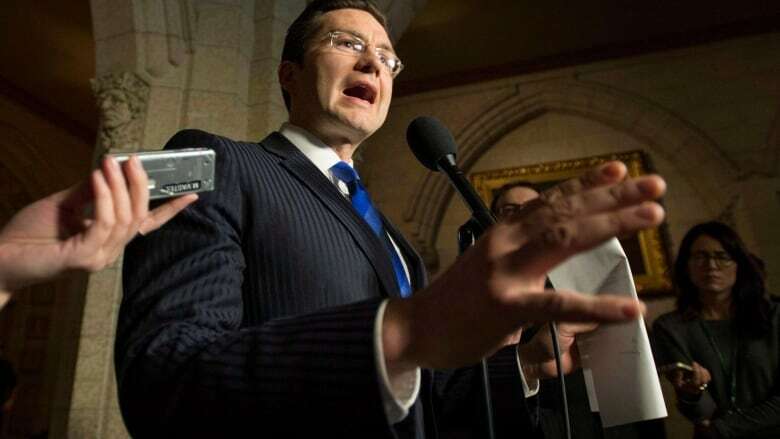 On Sunday, finance critic Pierre Poilievre said his party would "use every parliamentary tool in the toolkit to end the coverup and let her speak" about the ongoing SNC-Lavalin affair. The Conservatives were set up to potentially trigger a marathon voting session in the House of Commons on Monday that could have delayed the tabling of the budget — until the government stepped in. Because these tactics are only allowed on set "opposition days," — where the other parties get to set the agenda and set the topic for debate — the Liberals tweaked the schedule to make Wednesday the opposition day instead of Monday. They then informed the other parties. "Our government will act responsibly to ensure the budget, which will help Canadians, is introduced on Tuesday as planned," Mark Kennedy of the Government House Leader's Office said in a statement to CBC News. Conservative House Leader Candice Bergen accused the Liberals of trying to cover up Trudeau's involvement in the SNC-Lavalin affair. "We know Mr. Trudeau is desperate to change the channel on the SNC-Lavalin Affair, but Canadians have legitimate questions and they won't be distracted by his budget," she said in a statement. The Tories had put forward opposed votes on previously announced federal initiatives, each of which would have necessitated a vote in the House. They tabled 257 opposed votes for Monday, but now can only act on them on Wednesday. Each of these votes is a fiscal matter, so every vote is a vote of confidence, which would keep Liberal MPs close to their seats. A loss of confidence could trigger an election. Because of the sheer number of votes, the sitting of the Commons could have extended overnight Monday — similar to what the Conservatives did last March in retaliation after Liberals opposed having Trudeau's national security adviser talk to committee about his India trip. If the sitting was extended, it could have potentially delayed the budget. But the point Andrew Scheer's party is trying to make is more about SNC-Lavalin, than the budget. "All eyes should be on those closed doors at the justice committee meeting," Poilievre said. "If [the prime minister] thinks Canadians will quietly let him shut down the investigation, he's in for a terrible surprise next week." The committee is scheduled to meet in private Tuesday morning, ahead of the unveiling of the federal budget for 2019. The former justice minister and attorney general addressed the committee last month, offering unprecedented testimony alleging the prime minister, members of his top staff and other government officials had pressured her to help secure a special legal agreement for SNC-Lavalin through the director of public prosecutions. The company is facing bribery and corruption charges that could lead to it being barred from bidding on federal contracts, affecting thousands of jobs. Budget 2019 comes in a high-stakes election year and could be as much about shoring up sliding Liberal support as it is about fiscal policy. Wilson-Raybould said she was only able to address the events surrounding SNC-Lavalin that happened before she was shuffled out of the attorney general position. During his appearance, Gerald Butts, the former principal secretary to Trudeau, spoke of things that occurred after the move. In a letter to her constituents this week, the Vancouver MP said she had more to say on the topic. Opposition MPs called an emergency meeting of the committee on Wednesday to debate whether to allow her to speak again, but the Liberal majority shut it down within 30 minutes. Liberal MP Francis Drouin, who triggered the sudden adjournment of the meeting, insists there's been no attempt by the government to coverup the SNC-Lavalin affair, and says it's time to turn the page on the controversy. "I think I've heard enough," he said in an interview with CBC Radio's Ottawa Morning. "Ms. Wilson-Raybould has said, in response to Elizabeth May and Nathan Cullen, that nothing illegal was committed, nothing criminal was committed."